A low pressure center is east of Jacksonville, Florida this morning and is rapidly moving west southwest toward the northeast coast of Florida. The low will make landfall later today. It looked to be organized enough earlier to be unofficially classified as the second tropical depression of the Atlantic season. It appears that strong upper air winds are starting to disturb the convection over the center of circulation, thus limiting development. 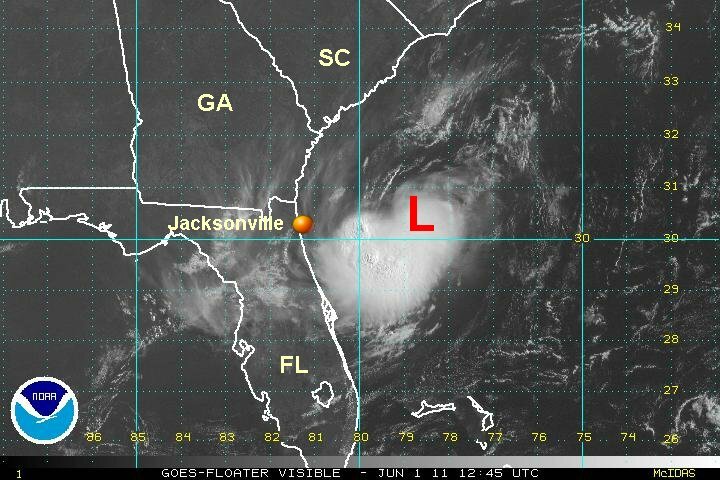 There is still a chance that NHC will name this the first tropical depression of the 2011 hurricane season. 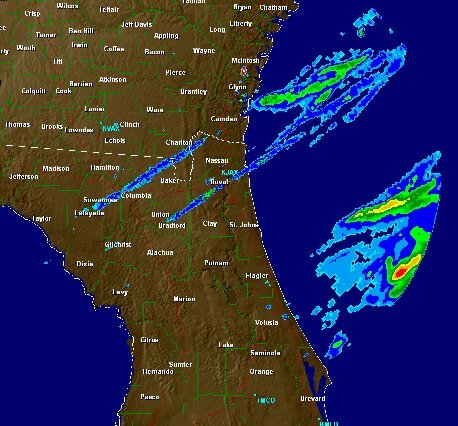 Regardless if it is named or not, expect heavy showers on the northeast coast of Florida later today with some gusty winds 30 mph or slightly stronger. 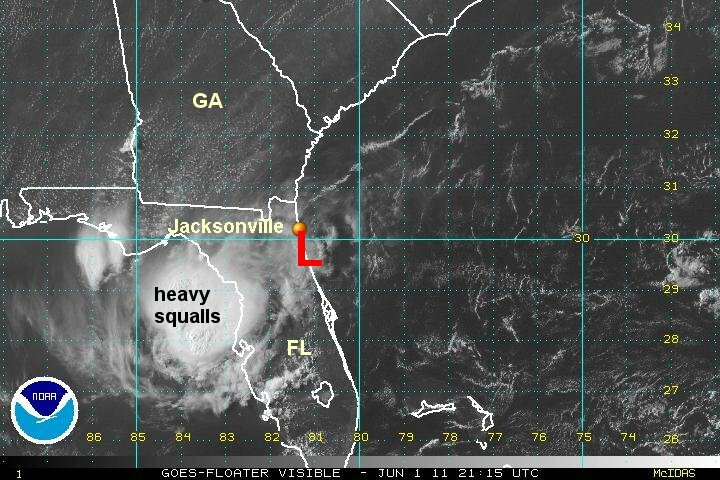 As of 10 am edt the low is centered near 30.3 N / 78.8 W or about 150 miles east northeast of St. Augustine Florida. Top sustained winds are estimated at 25 mph. The low pressure area is now on the coast near Daytona beach, Florida. Heavy rain preceded the low and is now over the eastern Gulf. Winds may gust to 25-30 mph in squalls with the storms in the Gulf. This will be the last update, unless regeneration occurs in the Gulf. The low pressure area has now stalled over the southwestern Gulf of Mexico. There are no signs of development.